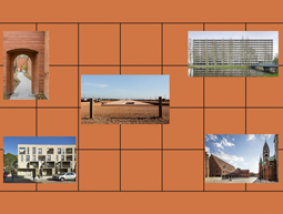 5 lectures by the 5 authors of the 5 finalist works competing for the European Union Prize for Contemporary Architecture Mies van der Rohe Award will take place between April 29th and May 1st in different cities around Europe. The authors of each work will present their project to the Jury members Stephen Bates, Gonçalo Byrne, Peter Cachola Schmal, Pelin Dervis, Dominique Jakob, Juulia Kauste and Malgorzata Omilanowska in five lectures open to the public. Afterwards, the Jury will visit the 5 Finalist works and will collect first-hand information from their users, clients and architects.